For 2018-2019, JALBCA awarded a $100,000 grant to the Center for Elder Law & Justice for the MedLaw Partnership of Western New York. The Center For Elder Law & Justice (CELJ) has a medical-legal partnership at the Erie County Medical Center in Buffalo, New York. The CELJ has a dedicated full-time attorney who works in collaboration with ECMC oncology staff, with a focus on serving the needs of the Breast Oncology Unit of the Center for Oncology Care. 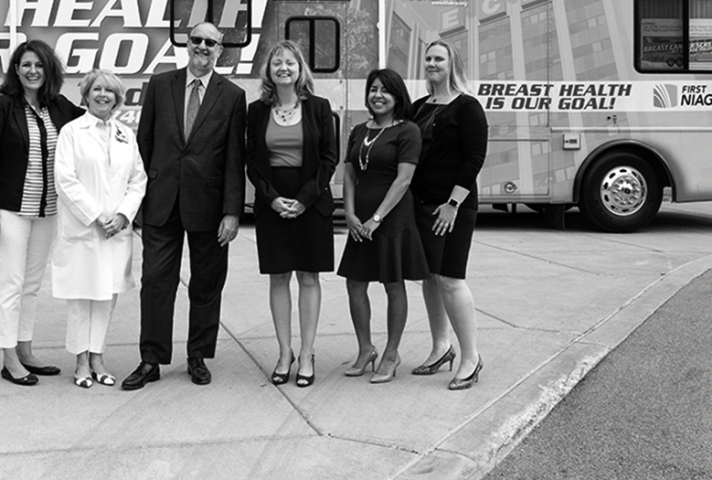 Additionally, the CELJ has a network of volunteer attorneys, provides community education, and conducts systems-level advocacy in order to address the legal and societal needs of breast cancer patients in eight Western New York counties. Legal issues involving housing, health insurance, employment rights, access to benefits, estate planning and consumer debt, among others, become sources of stress for breast cancer patients and can even be a barrier to receiving medical treatment. The CLEJ seeks to enhance the lives of breast cancer patients and survivors by addressing these needs within the walls of the hospital.